It seemed to me I stood by the sliding doors leading to the store, and for a while I could not enter, for the way was barred to me. There was a padlock and a chain upon the gate. I called in my dream to the manager, and had no answer, and peering closer through the dusty glass of the door I saw that the office was uninhabited. No buzz came from the lights, and the little price checker stations gaped forlorn. Then, like all dreamers, I was possessed of a sudden with supernatural powers and passed like a spirit through the barrier before me. 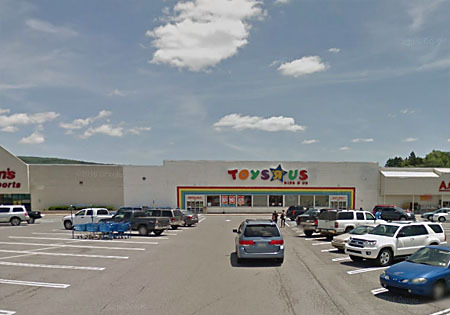 I've talked before about dreaming of going toy shopping, and so it's a deeply coincidental bit of timing that July 1, the day after the final closure of Toys "Я" Us, I'd dream about the store again. 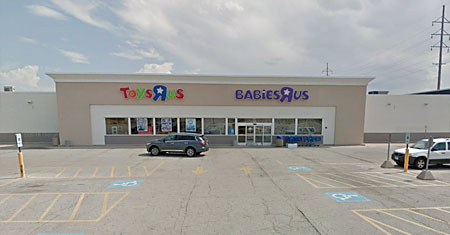 Even in my dream, it was closing, but it still existed there and I got to shop one more time. Remember in the other article when I talked about always being half an hour away from TRUs? This is the one that was half an hour away from my grandmother's house. Because of course it was. Once I was old enough to drive, it gave me a place to go when family holidays became too overwhelming. It's the TRU from the "toy karma" story. I might have been able to get back to it one last time, but it would have been a major trip - bigger than I wanted to do. Okay, the fact that there's a Star Wars sign hanging over the door in this shot is some great situational irony - see, this is the store that was half an hour away from me when I went to college, and it's the one where my girlfriend and I went to the Phantom Menace Midnight Madness. I can clearly remember standing outside in the chilly night, waiting for the doors to open, then going inside and absolutely bingeing on those red-carded figures. Nerds! It's also the one where I backtracked to get ToyBiz's superposeable Blade, and where my girl got me the Stars and Stripes Forever GI Joe set. Moon over Parma, bring my love to me tonight/ Guide her to Cleveland, underneath your silvery light/ We're goin' bowlin', so don't lose her in Solon/ Moon over Parma tonight! 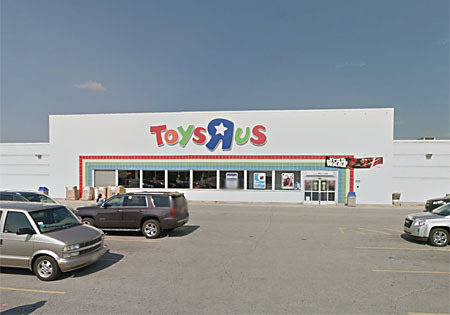 This the TRU near the home of the same girlfriend from Midnight Madness. Well, one of several, really, but this is the one I think of as "the" TRU. It's set way back in a parking lot, and there's an exceedingly ramshackle little restaurant in the front of the lot near the road. This is the store where I got my first-ever Xevoz! Particularly sharp viewers may notice that this is not a Toys "Я" Us; that it is, in fact, nothing. 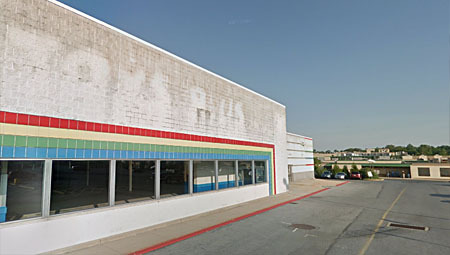 That's because the TRU that used to be in that location closed in 2006, and the Street View car hadn't gone by it yet. 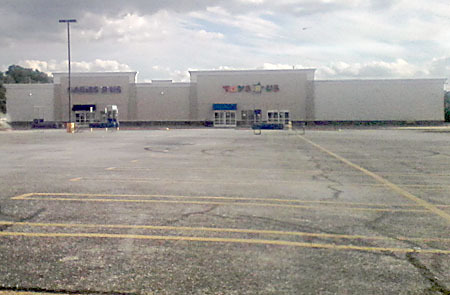 This is Fresh Pond Mall in Cambridge, which was the only TRU around when I lived in Boston. (Well, without driving, anyway.) You had to take the T to Park Street, switch to the Red Line, and then ride that all the way to the end at Alewife. 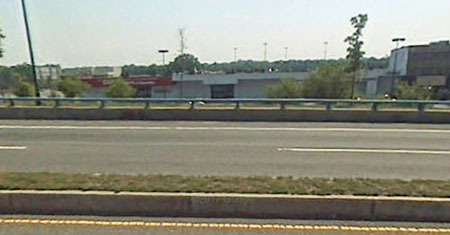 From there you had to walk over a highway bridge to get to the shopping plaza where TRU rested between Staples and PetSmart. Way the eff out of the way, but it was the only option. At least there was a Newbury Comics across the street. Here's a fun story for you: I was an assistant manager at my job when I lived there, and one day we ran out of ink for the printer. The manager gave me money and directions to the nearest Staples to go buy some. The downtown Staples didn't have the right kind, so I hopped on the train and went out to the only other Staples I knew; Alewife. And you know I went into TRU while I was there. All while on the clock! Nothing like getting paid to go look for toys! This little non-descript TRU was the one I went to when I lived in Chicago. I'm all alone in a city, far away from everybody I've ever loved and having no luck in finding a job, but TRU was there to help me stave off depression. Did I ever buy anything here? Probably? Nothing I specifically remember, though this would have been when I was looking through the Spider-Man Classics pegs every time, trying to find that super rare Yellow Daredevil. Of all the TRUs I've ever been to, this one may be the most memorable. Not for anything about its stock or its layout or its employees, but because of its location. See that low, tan building in the backgroud? 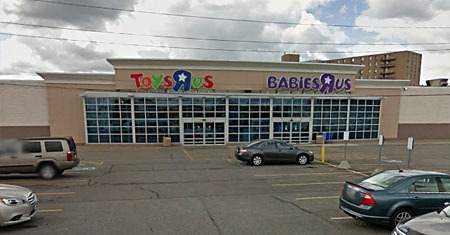 I stopped at this Toys "Я" Us I found on a map, and it turned out to be next to a prison. An honest-to-goodness county prison. Which, in a way, makes sense. Whether they were meaningful or historic or just plain weird, these are the Toys "Я" Us'es I would have liked to see one more time, but couldn't. It's been a ride, Geoffrey. Sometimes good, sometimes bad, but always - always - a Toys "Я" Us kid.